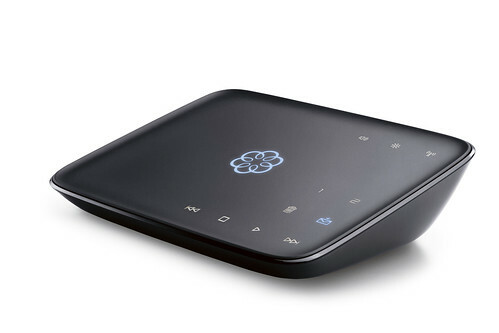 Ooma VoIP phone service is an alternative to traditional landline phone service. Ooma basic service lets you make unlimited domestic phone calls for free with only $3.95 per month for tax. International calls are available at $10 per month for 1,000 minutes call time. Verizon had been our landline carrier for years. Even though both of us carry a cell phone with us all the time and, increasingly, we are using more minutes on cell phones than on the landline phone, we still want to have a landline phone because, with multiple handsets, it’s convenient to receive calls at home, especially it’s noisy inside the house. So we kept the phone and paid about $15 a month for the minimum service with no caller ID and no long distance. Then came July 2011 when we suddenly had a problem with our home phone that we could still make receive calls but were not able to make any because there was no dial tone. We contacted Verizon for the issue and, after a quick online diagnostic, we were told that the line to our house was good and the problem was inside our house. However, since we didn’t have any insurance, which has to be purchased with a fee of more than $6 a month, sending a technician to our house to check and fix the problem would cost us some $95 for the first hour then about $50 for every 30 minutes afterward. That’s a lot of money and we had no idea how long the repair could take. Maybe one hour is more than enough, but it’s also possible that it could take much longer. I tried to fix the problem myself by switching some wires from the switch board, but it wasn’t successful. Not willing to pay for the repair, we started to look for other options and was recommended Ooma by a friend. We were amazed by how much little the service costs and immediately purchased a base unit simply based on feedback from the friend. Open an account online at Ooma.com and register and active the unit. If you are interested in Ooma, you can use Ooma promotion code TAS5250 to save $40 on Ooma before January 31, 2013. If you are a Costco member, Costco occasionally has discount for the Ooma Telo unit, so you don’t have to buy the device from Ooma directly.